It is in the fair City of Pavia where our programmaker Antonio Mainenti lives. And it is in this very city where he picked up the idea to start a mini festival of a peculiar nature. It wouldn’t last one or a coupe of days, but it would be spread out over an infinitive period. With no other means then his enthusiasm, his love for music and the help of friends he managed to realize the idea. He called the festivalino: Fuori Bordo. 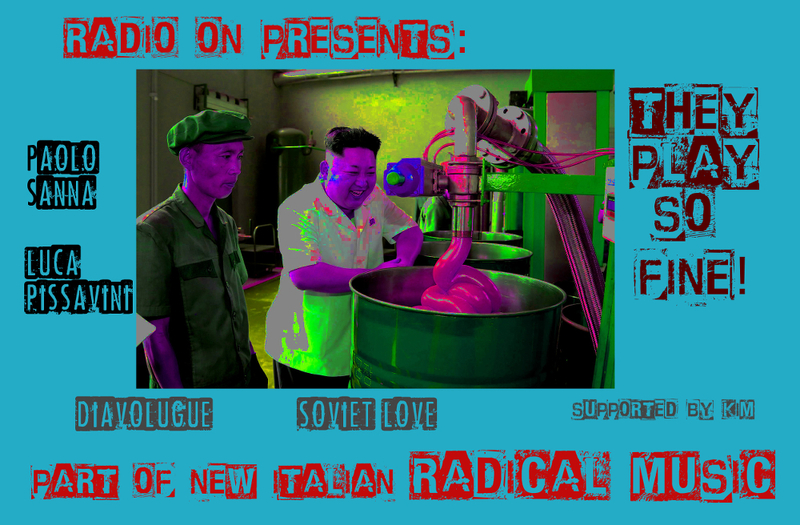 In this program he brings us a selection of artists, all part of the new Italian radical music. The whole program will last one hour and thirty minutes.